Sustainable gardening practices, like using compost and sheet mulching, not only add nutrients to the soil they also conserve water and fight climate change. 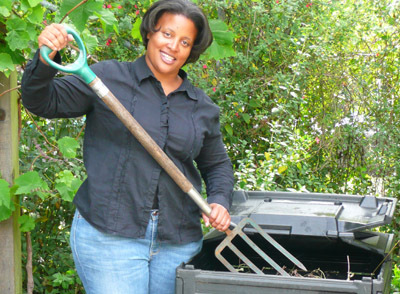 StopWaste offers tools, tips, and how-to talks to help gardeners get started at home. Healthy soil is the foundation of a beautiful, bountiful, and drought-tolerant garden. Using compost is a great way to improve your soil. 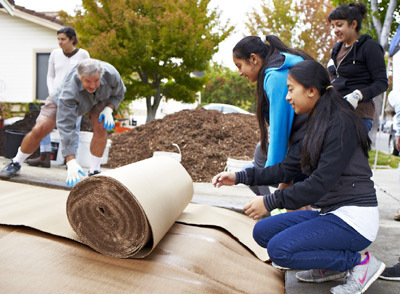 Removing your lawn gives you the opportunity to create a vibrant, water-saving garden. We have tools to help you locate materials and get started. Visit our website LawntoGarden.org for more details. Check our calendar of upcoming gardening events. Learn new techniques and get inspired. Find out about plant sales. Compost Tea is a simple brew that’s filled with good bacteria your soil and plants will love.